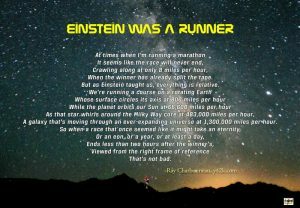 Christopher McDougal, author of Born to Run, recently wrote yet another blog post in support of minimalist running shoes. “If you’re doing something wrong, nothing you buy will help. If you learn to run correctly, you can wear whatever you please.” Dogmatic statements like that are always wrong (note: except for the one I just made). There are always counter-examples, and no, they don’t “prove the rule”. Minimal shoes are definitely not for everyone. I own a pair of Vibram Five-fingers. They’re excellent tools that have helped me improve my form (pain is the best teacher), but there’s just no way I can run more than a couple of miles in them. Plenty of runners have biomechanical issues that are impossible to resolve merely by changing their form. 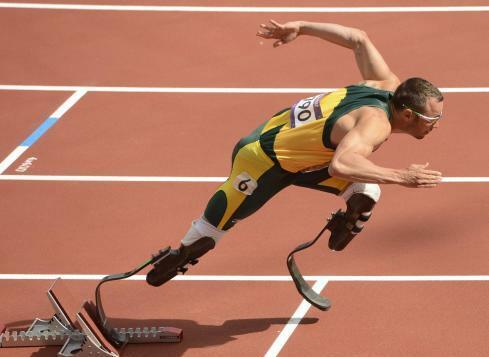 The most obvious recent example is Oscar “Blade Runner” Pistorius, the South African double-amputee Olympian. Most runners have less substantial problems (duh), but anyone who tells you that “running correctly” will solve any problem is doing you a disservice. We should all strive for good form, but form alone cannot fix everything. Take me for example. I have cavus feet that are exceptionally rigid. My calves aren’t very flexible either. My right foot plant is skewed due to an externally rotated hip socket and tibia. And my right hip rides at least a half-inch lower than the left. 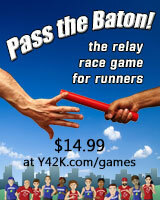 My first podiatrist told me that I’d never be able to run a marathon. 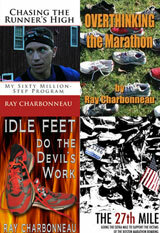 20 marathons (and a number of ultramarathons) later, that opinion is just an amusing memory. But without shoe inserts, he would have been right. Over the years, I’ve been to see a number of different podiatrists, and I’ve received many different diagnoses and been prescribed all kinds of different orthotics. I’ve learned two things. First, if someone wants you to step into a foam-filled box to make impressions for custom orthotics, run (or limp, if that’s all you can do) out of that office as fast as you can. Find someone who makes molds while your feet are in a neutral position, not while you’re standing and your feet are bearing all your weight. Second, prescribing orthotics is an art, not a science. Listen to your podiatrist and try what he or she suggests, but you’re the only one who can really tell whether or not your orthotics are working for you. 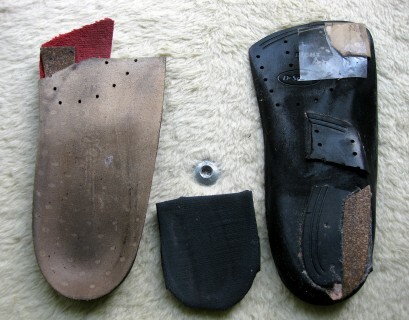 If you get custom orthotics, don’t be afraid to try your own modifications. It can be scary the first time you take a belt sander to a $300 pair of orthotics, but the alternative is returning to the podiatrist every time you want to try something a little different. Unless you have awesome insurance, that can get prohibitively expensive very quickly. I’ve learned to be conservative when making adjustments. It only takes a slight change to make a big difference. Whenever I want to make a modification, I make a guess at how much of a wedge or lift I want to put in and then I only add about half that amount. I’m even more careful when I’m shaving something off. If I make a change that’s too aggressive, I might cause more problems than I solve. Once my body has adapted to the change, I can always make a further adjustment if I still think it’s necessary. My orthotics and my shoes work is a unit. Any time I get a new model of shoe, it’s going to provide different support for me and my orthotics. My inserts usually require some additional tuning to get things working right again. After a while, I realized that I did just as well with a $15 pair of Dr. Scholl’s inserts and some wedges of my own design. My current inserts are soft rubber with a heel cup and enough arch support to help cushion my foot and distribute the pressure that comes from repeated pounding against the road. The right foot has a medial (inside edge) wedge on the heel and a lesser wedge on the forefoot. I also have a quarter inch lift under my right heel to help even out some leg length differences. I fit the inserts into Asics GEL-Hyperspeed shoes. The shoes are light and flexible enough to give me feedback similar to a minimalist shoe, but they still provide a reasonable amount of cushioning and some heel lift. The resulting running form isn’t ideal, as anyone who watches me run can easily see, but I do better with this setup than with anything else I’ve tried.